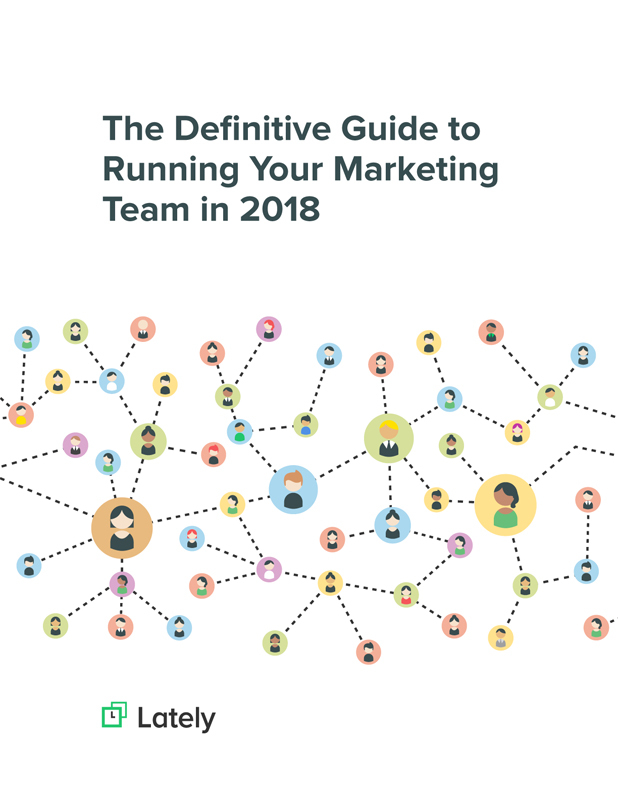 See what a marketing team structure looks like. 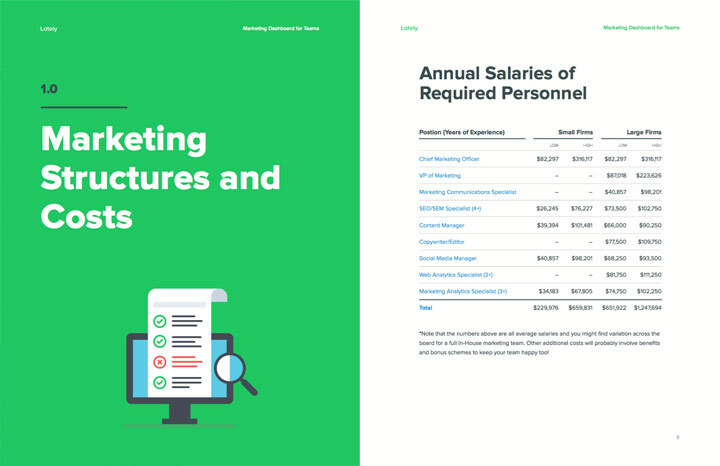 Get an idea for annual salaries for your team. Find what areas should be outsourced vs. insourced. Build a marketing dashboard to track everything. Ever heard the phrase, “too many cooks spoil the broth”? The same applies to the marketing recipe and when you toss outsourcing and hiring into the mix, your brand can end up half-baked. Traditional marketing strategies will end up adding a side-order of confusion to campaigns, with too many tools and too many briefs. If you’re not careful, you’ll end up getting burnt. To fix costly, unclear campaigns, we’ll examine how Marketing Dashboards give you the key ingredients and measurements for success. Learn how an all-in-one Marketing Dashboard will instantly bring your teams together, all in one centralized place. Find out how tasks that used to take your team hours of work, can be done in less than 60 seconds. We’ll show you how you can give your team the right tools and space to handle the heat and stay in the kitchen.